Osteopathic manual medicine (OMM), also known as osteopathic manipulative medicine, is a hands-on, noninvasive set of skills used to treat all systems of the body. Our trained osteopathic physicians use their hands to diagnose and treat compensations in these systems of the body that arise from disease, illness and/or injury. OMM allows the body to function more efficiently, supporting the ability to fight off disease and more easily recover from illness and injury. While medication, surgery, and other forms of conventional treatment are important components of patient care, manually diagnosing and treating our patients allows our physicians to provide excellent care with a paradigm shift from a focus on disease toward a focus on health. During an evaluation, your osteopathic physician may move your muscles, joints, connective tissue, bones and organ systems using techniques such as gentle pressure, range of motion, resistance and stretching. The osteopathic physicians at our clinic also strive to understand all aspects of their patients’ lives that may be affecting their health and wellness potential. Colic in infants, chronic infections in infants, issues with the neck and head, birth trauma and failure to thrive. Learn more about OMM for pediatric patients. 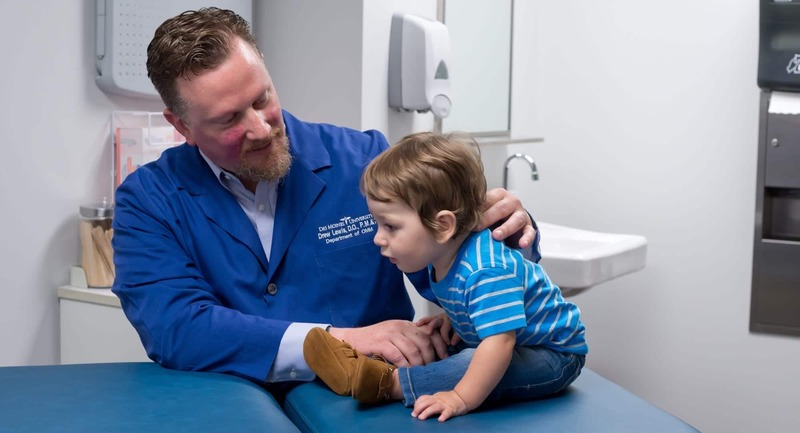 Because we are affiliated with a medical school, our clinicians are more than just providers; they are mentors, teachers, and researchers who are training the next generation of highly competent, compassionate health care professionals. You will benefit from our clinician’s and student’s shared expertise, dedication to patient-centered care, and commitment to cutting-edge health education.